Chestnut Street Philadelphia – Walking and Gawking! 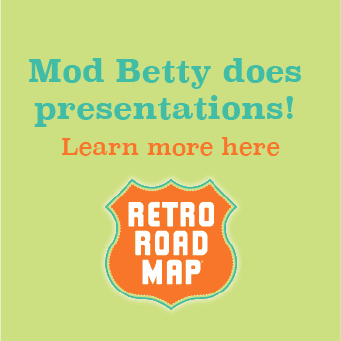 Retro Roadmappers, you know that Mod Betty would never send you into a chain store to purchase something (horrors!) but there’s nothing that says you can’t just go in there to look around and see the architectural remainders and reminders of what used to be there, is there? Especially when it could've been demolished completely, which is so often the case. While I'm sure there are plenty of one-off opportunities for this type of adventure throughout Philadelphia, the concentration of these interesting spots in a few block radius makes it a nice little destination for the Nancy Drew or Hardy Boy in all of us! Start at the corner of 17th and Chestnut Streets. We’ll start off slowly at the corner of 17th and Chestnut, and rejoice that the historic brick building you see before you wasn’t torn down and replaced by something boring and “modern”. With a traditional Federalist style that harkens back to the history of the city, this use to be the Provident Trust Building, built in 1927. 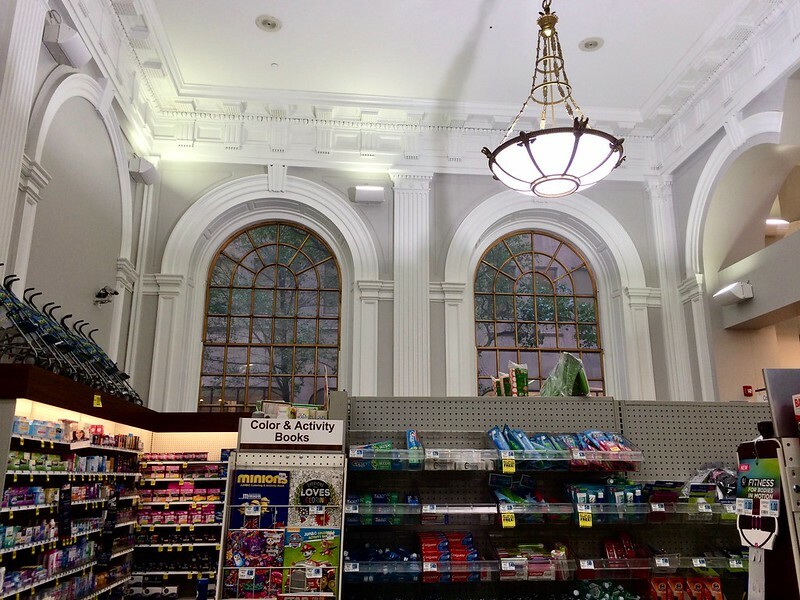 If you go into Rite Aid you’ll see that they saved some of the architectural details like the arched windows and upper moulding, so it’s good for a quick stop in. Not mindblowing, but good that it is still here. 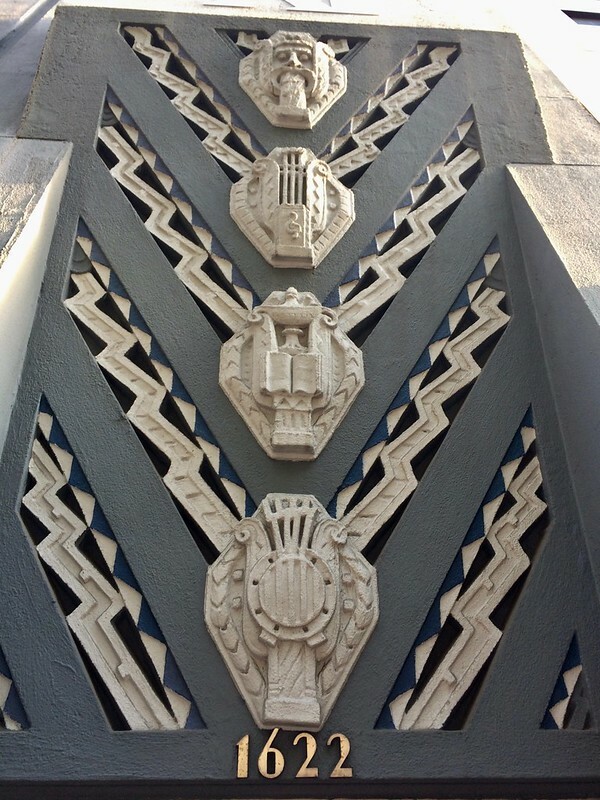 That’s OK that we started out slowly, because just a few steps further down Chestnut is easily the most Art Deco building in the city, if not the state! Mod B <3's Art D.
Machine age metal grillz define each level of the building, and the Aztec sunrize is split in half by what once was a glorious glass tower rising above the building. 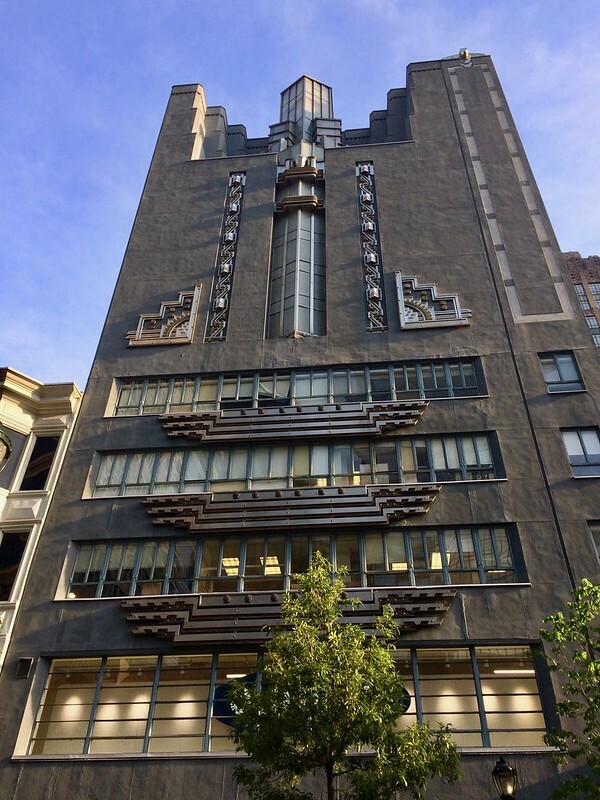 Check out the awesome historic photo accompanying this article from Philaphilia which is totally worth a complete read, not only for the background of how this building came to be, but also the "potty mouth architectural critique" that Mod B finds entertaining.  The building is on the National Register of Historic Places, so if you’re keeping a checklist of those buildings, you can consider this one visited! Getting back on the even numbered side of this street, walk a few blocks towards Broad street to 1424 Chestnut. 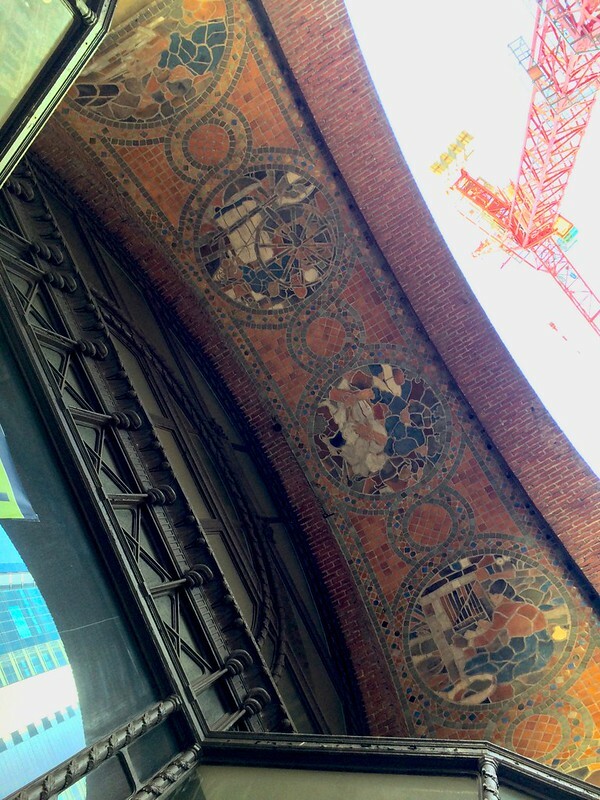 This is the stop that started this entire post for me, as I was flabbergasted when I happened to glance up above the entrance to CVS and discover an arch laden with mosaics of Mercer tile, indicating that this building has a much more interesting history than its current situation would indicate. 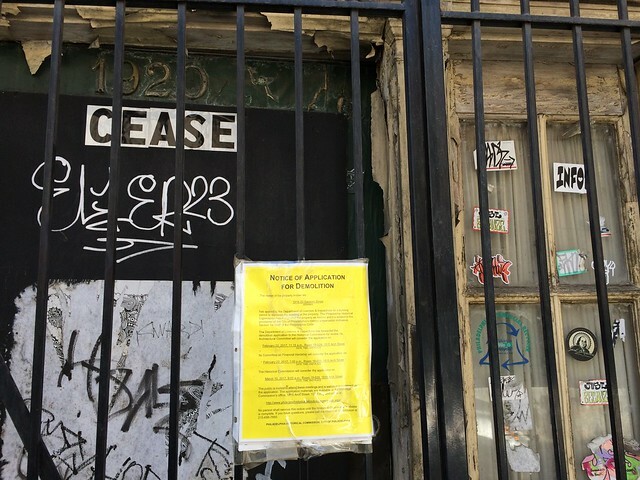 Mad props to the folks at Hidden City Philadelphia, who do so much heavy lifting on researching not only this building but so many others in this city so all of us benefit. This is the Jacob Reed & Son’s building - they were clothiers, and the tiles above the entrance reflect the different stages of cloth making. Much like the WCAU building, you’ll appreciate it more fully if you look at it from across the street, but since you’re here under the arch, enter the store using the revolving door. Once inside look above and you’ll see how the chain was considerate enough to keep not only the glass transom of the front door and backlit clerestory windows, but also some of the carved woodwork and murals painted inside the arches, showing how the modern dressed man might wear the clothes purchased here in the early 20th Century. 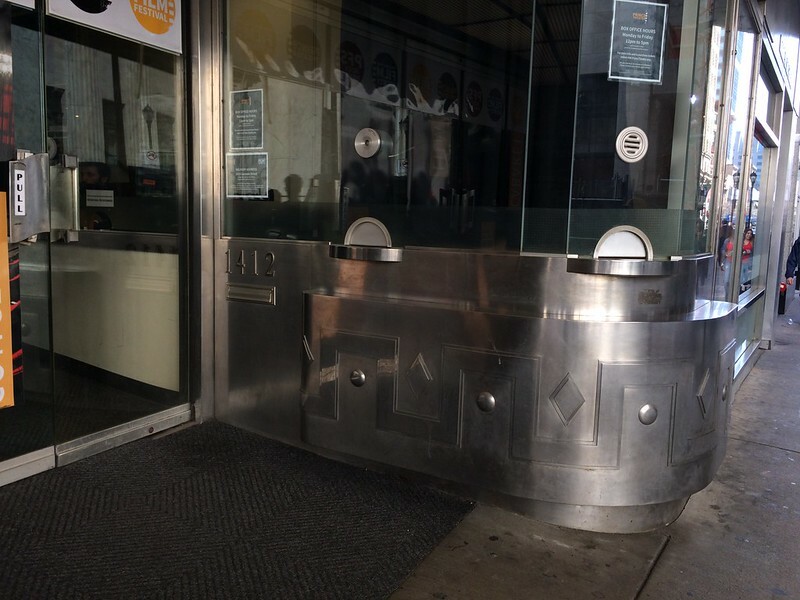 You are now just a few steps away from South Broad Street, so continue in that direction, admire the diner-like stainless steel ticket booth of the Prince Theatre and stop on the corner of Broad and Chestnut. 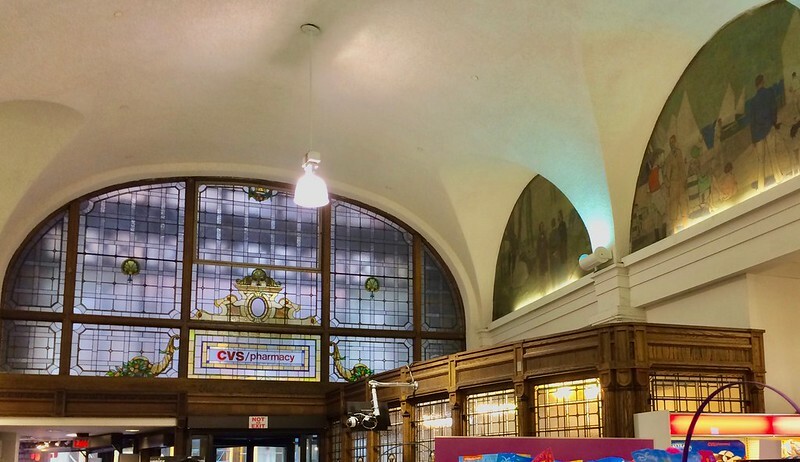 Some local folks may remember this space as a Borders book store, but Walgreens recently came to town to claim this corner as their flagship Philly location. 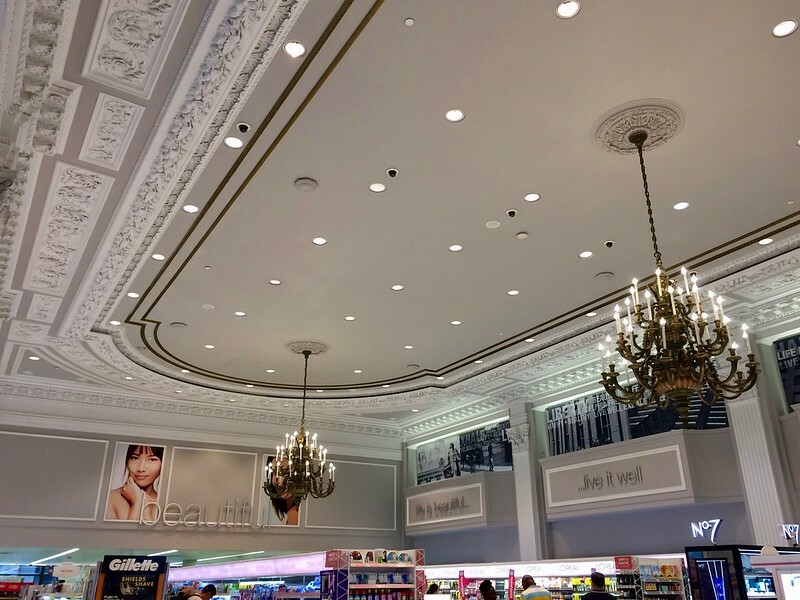 It was originally the Wanamaker’s Men’s Store, and if you head to the 3rd floor you’ll see how the drugstore chain has nicely highlighted the decorative plaster ceilings and restored the brass chandeliers. 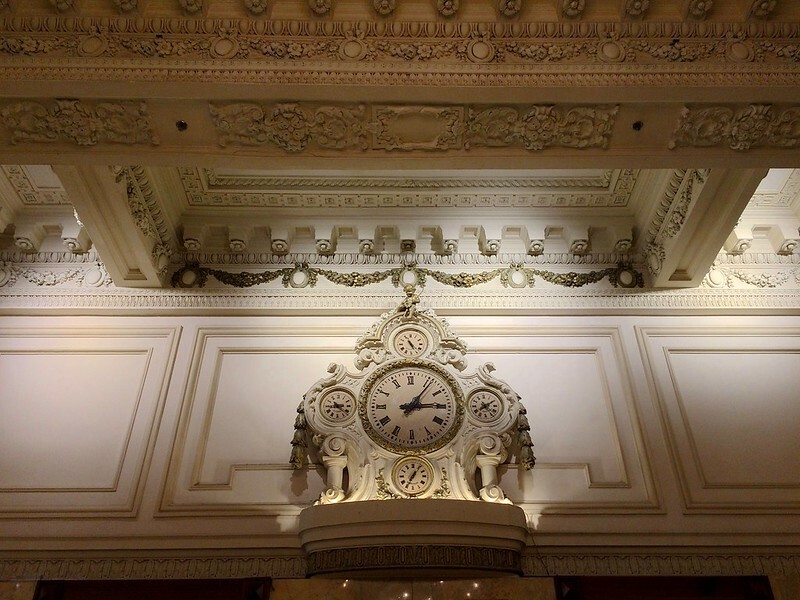 The public spaces of the Bellevue are laden with such decorative plasterwork it is as if a wedding cake decorator took over and swirled white sugar curliecues over the ceiling and walls. While you needn’t worry about catching anything like that there now, if you feel the need to wash your hands, there are bathrooms conveniently located off the food court in the lower level of the hotel. 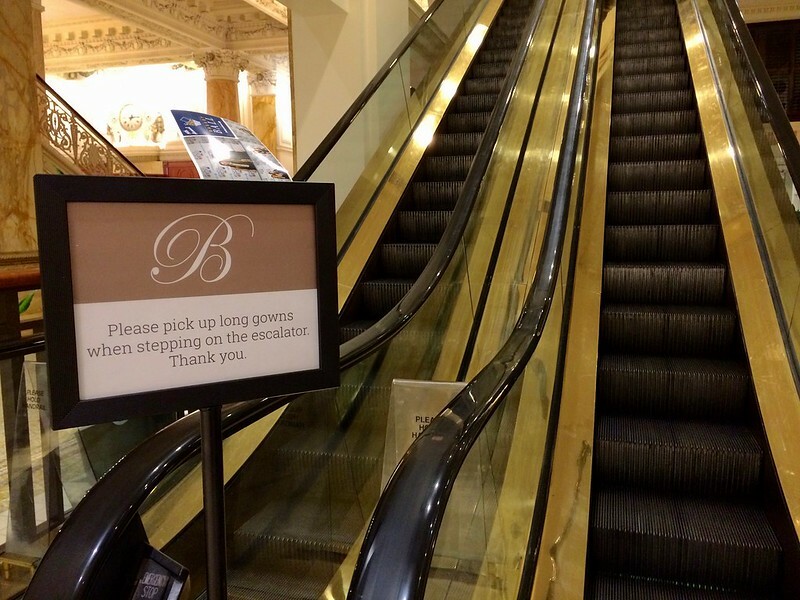 Don't go up into the hotel itself, you can tell just by this sign that it is a Fancy Place! 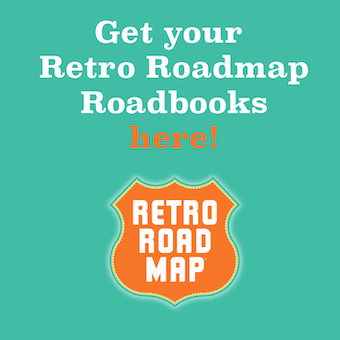 And that, dear Retro Roadmappers, is a free, fun not-fussy architectural adventure in Philly courtesy of Mod Betty. You never know what you’re surrounded by until you stop to see past what is going on right now. So slow down and as my pals Sergio Mendes and Brasil 66 like to remind us all, just Look Around! Thank you so much! What beautiful architecture, lighting, etc. That Rite Aid was my drugstore when I used to work downtown. 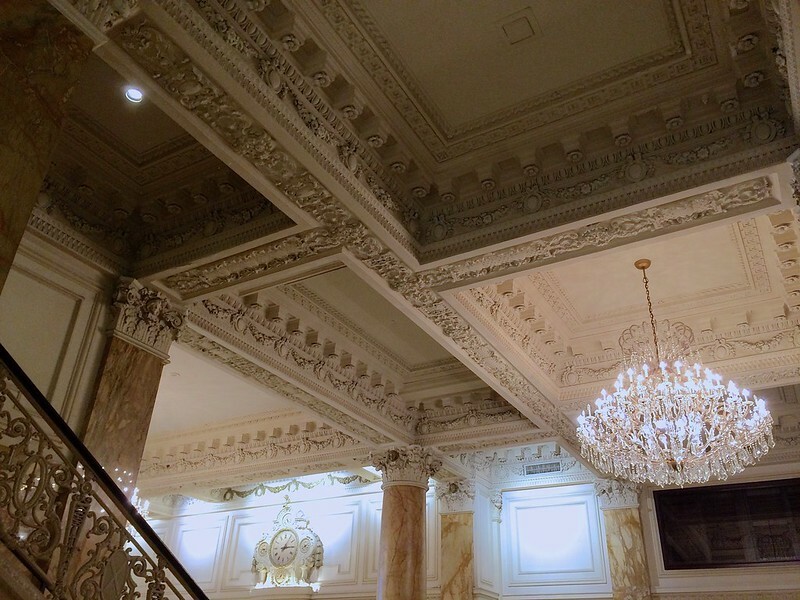 I went to my Senior Prom at the Bellevue-Stratford! I remember they had pay toilets and an attendant in the Ladies’ Room. Of course, I had no change or money in my evening purse so I had to lay on floor and shimmy under! The attendant wasn’t please, nor was I as my dress was white with tiny flowers on it (made by my mother). Great memories, Mod Betty, as usual.